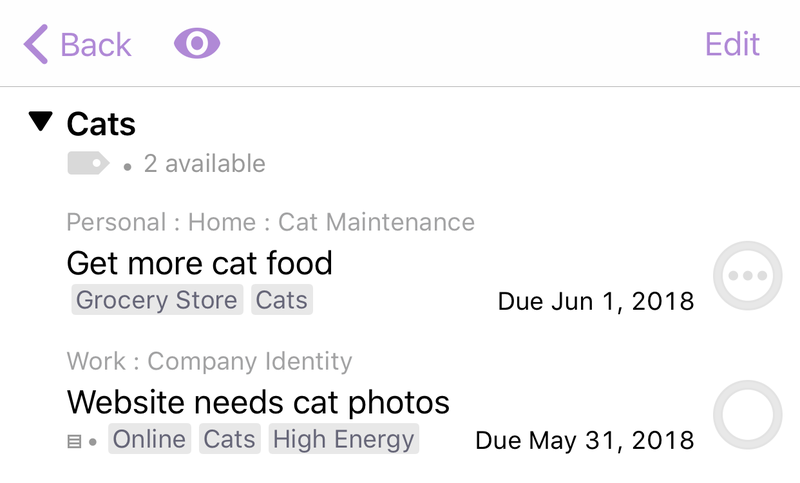 Tags, new in OmniFocus 3, replace the contexts feature from earlier versions. An item could have just one context, while an item can have many tags. Contexts were things like work, grocery store, email, or waiting — they said something important about how you could accomplish a task: where you needed to be, or in which app, or whether or not a task was blocked by somebody else. Contexts were powerful and useful. But consider the case where you need to talk to Mary at work about how to post more cat photos to the website, but you want to talk to her only when you have high energy — because Mary knows everything and is very busy, and you have to be at the top of your game so you don’t waste her time. Then, when that task becomes available, you’ll know you need to wait till after that cup of coffee, and you’ll know not to talk to her right after pancake lunch. The Tags perspective has replaced Contexts in Home. 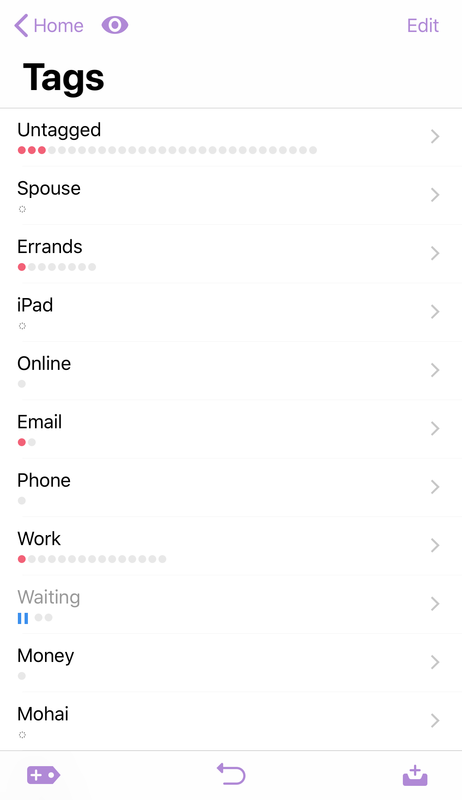 It appears along with Inbox, Projects, and other built-in perspectives. You can add tags there — tap the new-tag button at the bottom-left. To see items with a given tag, tap on that tag. Tap an item. In the inspector, make sure the Info pane is showing, and tap Tags. You add tags by selecting existing tags and by creating new tags. 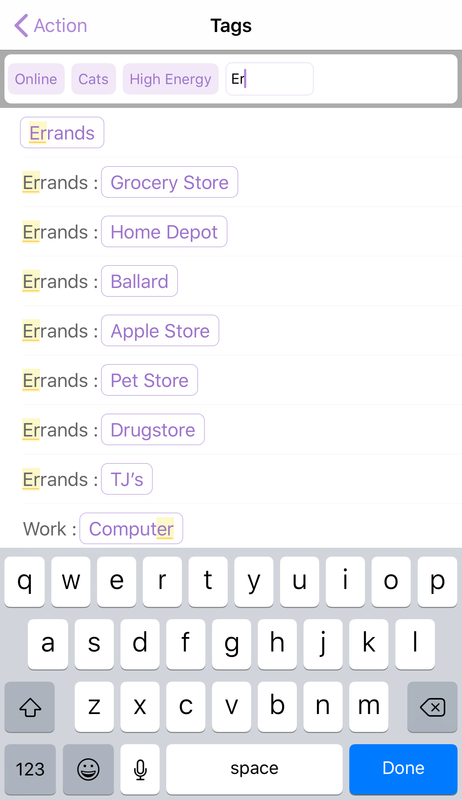 As you type, matching tags will be highlighted. You can add multiple tags in one session. If you tap on a tag, you can remove the tag from this item, or go to the tag — that is, it will take you to that particular tag in the Tags perspective, so you can see all items with that tag.